Pistou and persillade for sure, and I’d do more work with fresh herbs and garlic. There is nothing that beats a mortar and pestle, and it is easier to clean than a food processor. 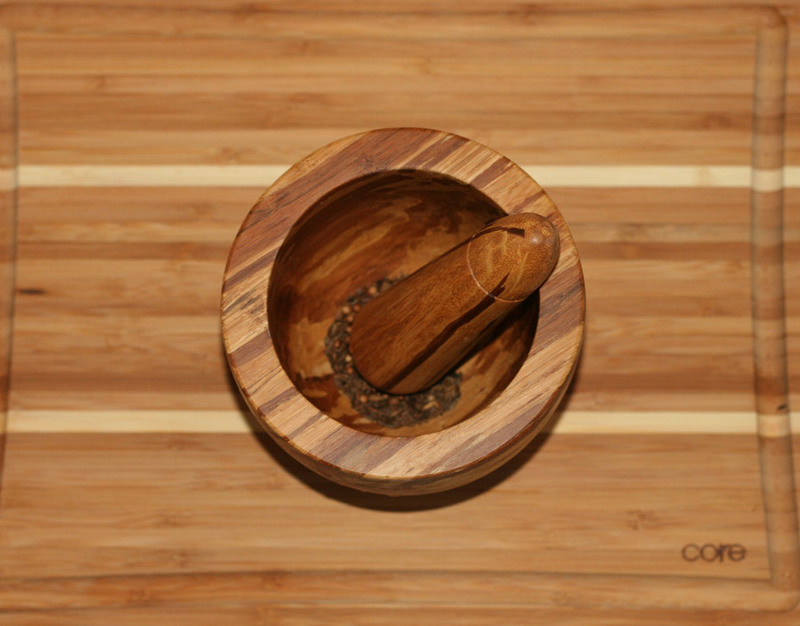 Mortar and pestle is just another form of kitchen therapy with a delicious result! I have been looking for a good harissa recipe, so I’d be making that harissa! I would make this! No, seriously. But not with tofu because the fiance has told me that he only wants to eat things with faces. I would love a mortar and pestle that I could actually use! Also, thanks for the harissa recipe. I’d like to try that! My own dry rub mix (with coffee beans). I love a dry rub with coffee! I would make a spice rub for ribs on the BBQ…in serious need of a good mortar and pestle. I think the first thing I would do is a tapenade. I will make some ginger + garlic + pepper paste for stir fry. I would make a dry rub for prime rib. I have never had or used one of these before! I would make a garlic paste or rub for chicken! i’ve been waiting for this ever since i saw your photo on instagram! will be making it for dinner one night soon! I would do herbs in it for mixing in olive oil for dipping bread into. I used it to crush herbs for my morning smoothie. I have NO clue what I would make with it….I have never had mortar and pestle so….guess there is always a first! I am a little obsessed with chickpeas, hairssa and that pestle and mortar. I stopped buying canned beans (for the most part) partially because of you! 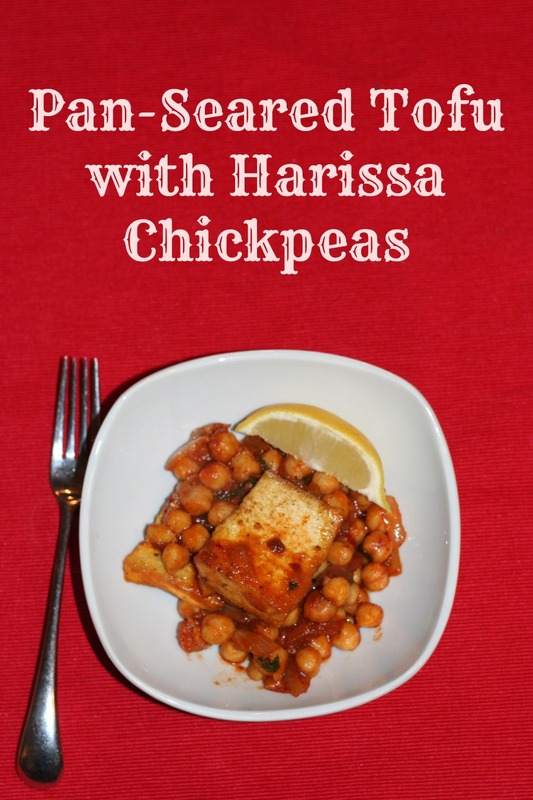 I’ve been cooking pots of chickpeas (and other beans) so much more often now! So easy to do! I would use it to crush nuts. I love that mortal and pestle. I also thought that recipe sounds amazing, but I love your vegan version too! I may still make the version with chicken. It’s so simple and so good looking! I would make some pesto with it. I grew up putting Harissa in everything. I love this recipe! I would use it to crush herbs. I would make some nummy hummus. I would love to make a fresh pesto! I would use it grind my dried herbs from my garden. I use them mostly for cooking and some for essential oils. This would come in handy. I would use it first to make pesto! Thanks for a chance at the giveaway! Happy New Year! Awesome recipe & the mortar & pestle is beautiful. I’ve never seen one made out of wood before. I love mortar and pestles, I actually collect them. I use them for anything from dried or fresh herbs (including pesto) to nuts to dried peppers. Oh, I should have mentioned that I have not seen any like this. The bamboo is very pretty and different! Thanks for the contest. wow, such a nice mortar and pestle! I would have to think about what I would make first! I would make something with all of the dried herbs my grandmother gives me. I would use it for pesto and to grind herbs for paste! I might make myself a Mojito with some fresh crushed mint! Yum! I would grind uo herbs for storage. Indian food! Maybe Chana masala! oooh. 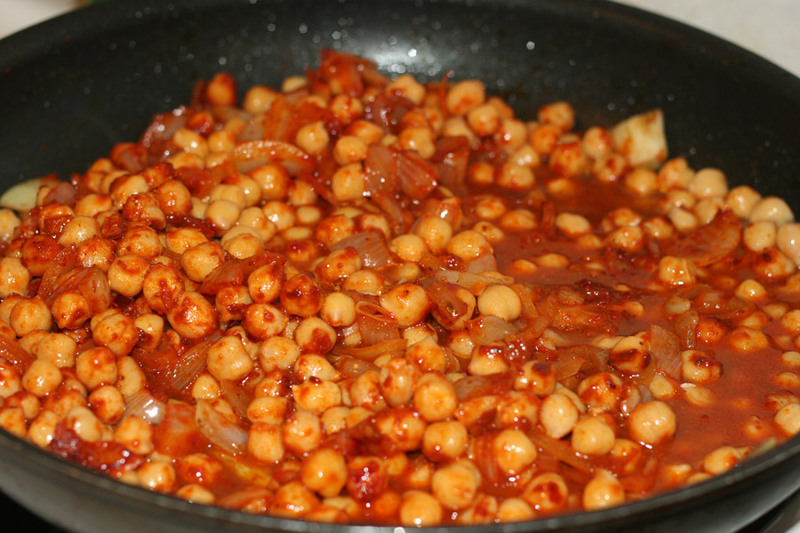 I love chana masala! the harissa sounds good to me! Want to try out this recipe! So, that’s what I’d make. I’d give this recipe a try! I’d also make some spice blends to keep on hand…maybe a pepper blend, or some dried herbs from my garden. 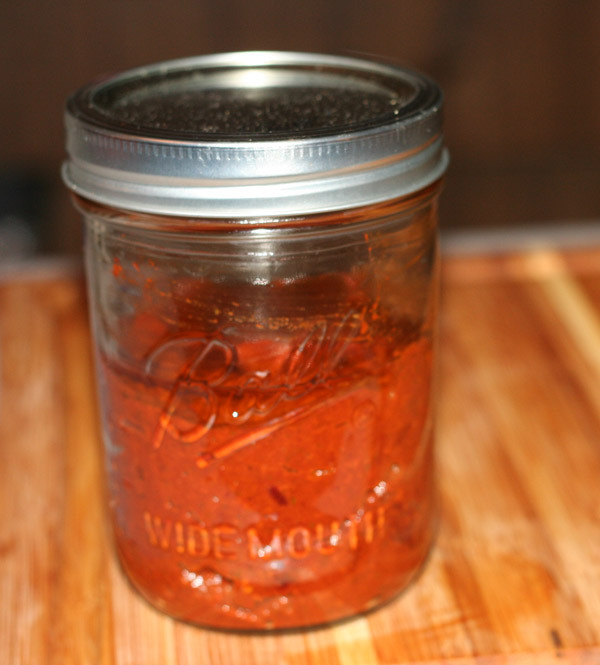 Thank you for sharing this homemade Harissa recipe. 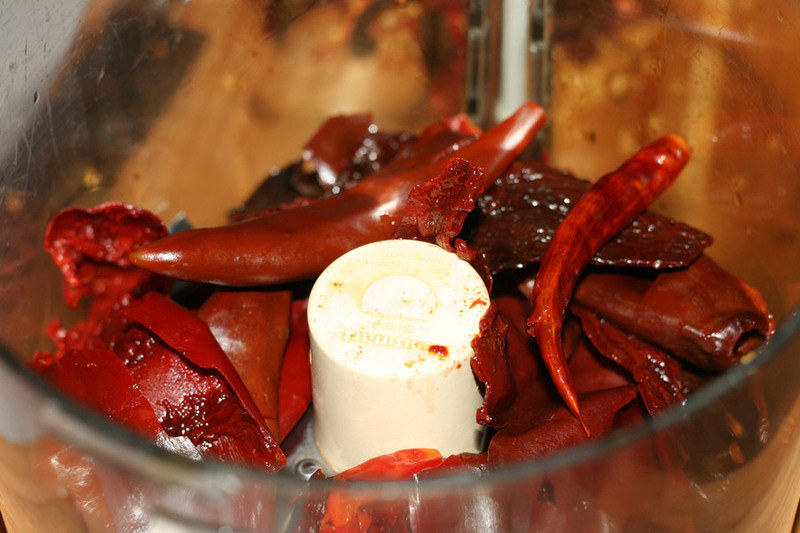 I have been wanting to make Harissa, but was not sure exactly what dried peppers to use. I am definitely trying this recipe! The nice thing about harissa is that you can really play with it. You can adjust the peppers based on level of spiciness, smokiness, etc. Just have fun with it! This recipe looks great, and I would love to win that mortar and pestle! Oh pumpkin pie! Something about hand grated whole cloves! Um, probably some kind of roast or London broil with a peppercorn crust. I’d make a dry rub for chicken. If I won, I would give this to my son who just got his first place and loves to cook! Not sure what he would use it for, but know it would be delicious! my fiance has been gardening, so I’d use it for the herbs. I would use it for herbs. I make harissa often — use it on so many things I couldn’t possibly list it here. Faves: vegetable soup, grilled pineapple and baked chicken. Thank you for making Harissa. I’ve been itching to make. Y own and didn’t know where to start. I would use it to crush my fresh dried herbs. Thank you for another super giveaway opportunity. Keep up the terrific blogging. 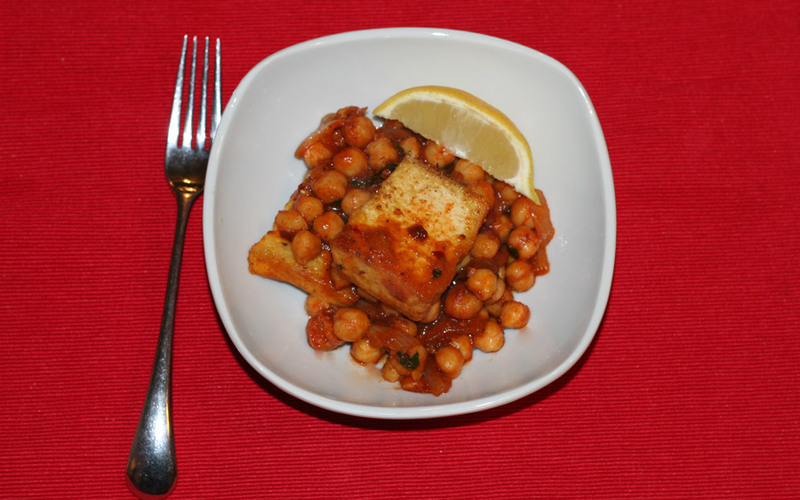 I am so into this recipe too and always looking for new ways to cook tofu. I just got my first mortar and pestle this year and I love it too. I love the combo of the strong spice and the lemon. I also got a mortar and pestle recently, and I love it. I use it to make persillade mostly.